Hard to argue there is any better place to store your bike for the winter than in your house. One day while my Wife Marcine was out I installed a Pit Bull Trailer Restraint in my home office drilling through "her" hardwood floors to properly secure the mount plate. Max Van and I rolled the R6 in the house and got her all tucked in real cozy like. Sometimes it's better to ask for forgiveness than permission, this is a good example of when to follow such a timeless rule. 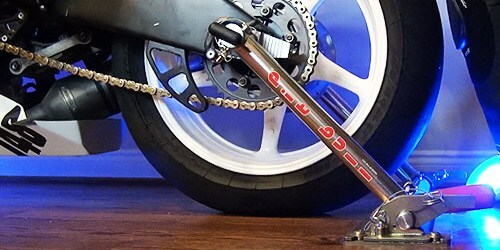 We have included many of the items you may need to get your bike ready for winter below. If you are looking for model specific items please use our "Parts Finder" just below the video to navigate to the category for your motorcycle. 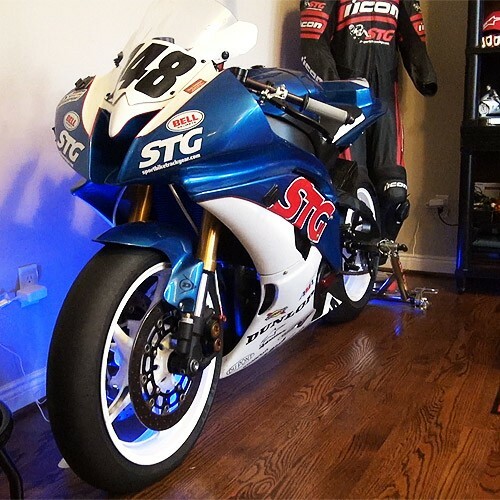 As always please call us at 888.784.4327 or email us orders@sportbiketrackgear.com if you require any assistance. Lightweight, compact and fully automatic. Optimate 1 Lithium Charger and an EVO Health Monitor. Safe for 24/7 long term unsupervised battery care. Can be used with most lithium batteries. Keeps fuel fresh for up to 24 months. No need to drain for next season. 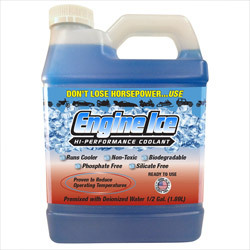 Effective in all gasoline, including ethanol blends. Most tracks require "Green" coolant be replaced before going on track. Biodegradable, phosphate free & non-toxic. Air vents with Velcro closures.